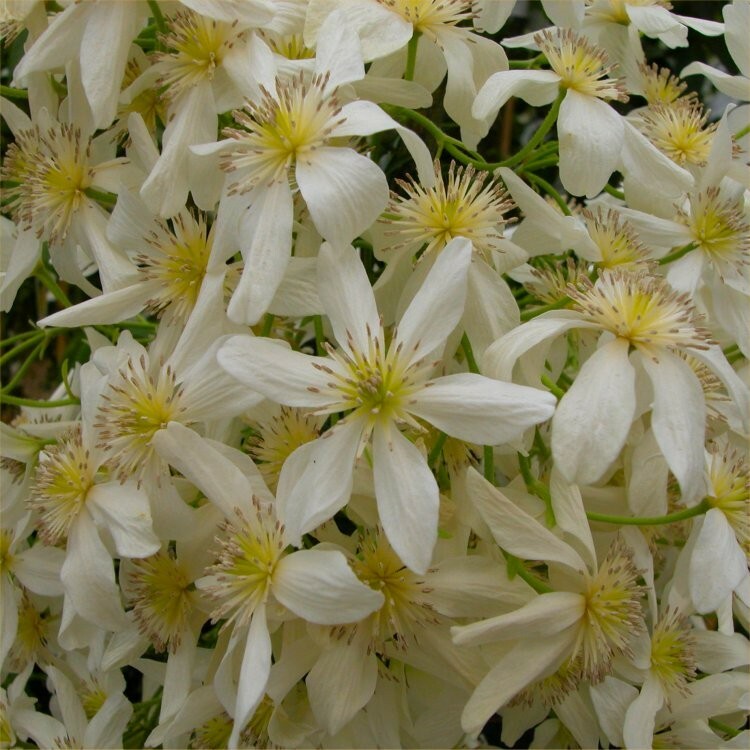 Armandii is the only fragrant clematis. It flowers last several weeks and sometimes a second flowering is produced in August. Very highly recommended. This extremely vigorous vine from China adds a touch of elegance to every entrance way. Long dark-green leaves droop to create an architectural statement. 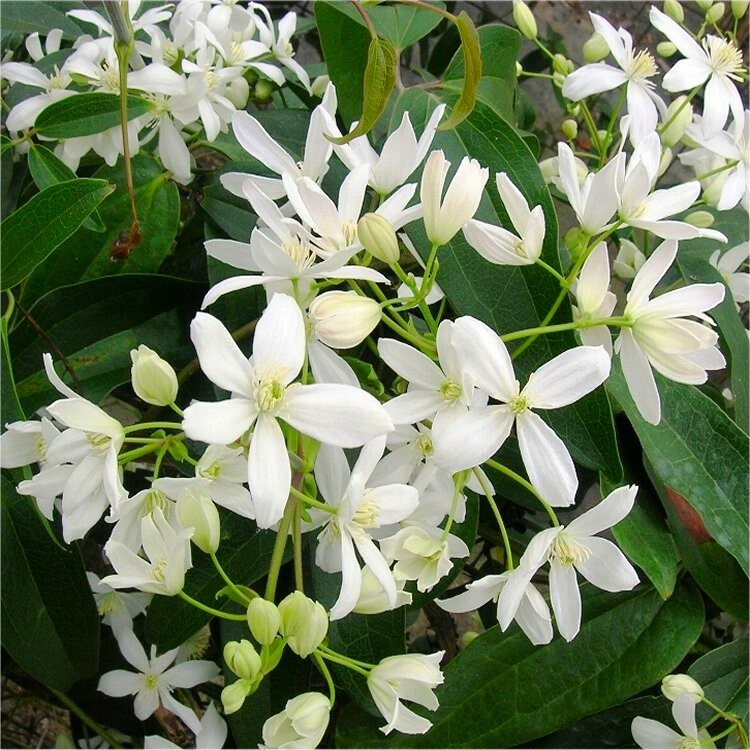 The glossy white 1" flowers are produced in clusters in March and April/ and Fill the air with the first smells of spring Jasmine. Loves full sun/ but tolerates partial shade in rich organic soil. Supplied at around 80cms tall, in 2-3 litre containers, with buds/flowers in season.